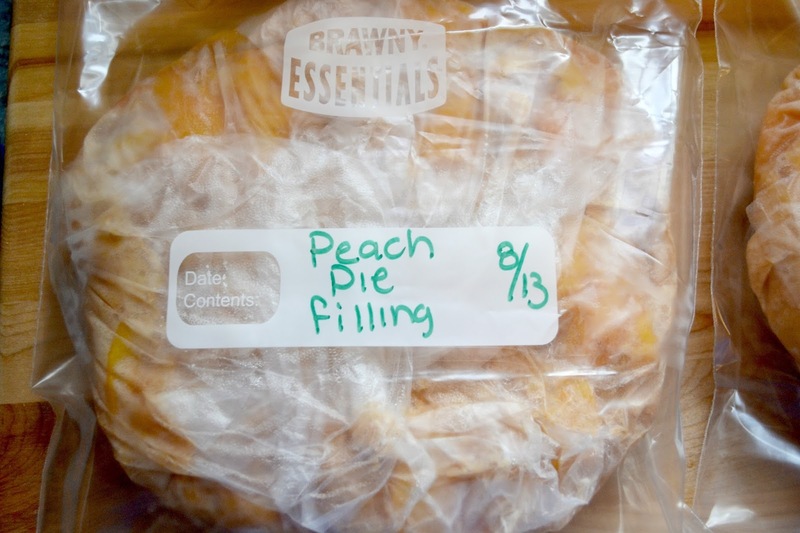 Making fresh baked peach or apple pie during your busy fall and winter is easy if you freeze your pie filling now. I will show you not only a good recipe but a great trick to get your pie from freezer to oven in no time. 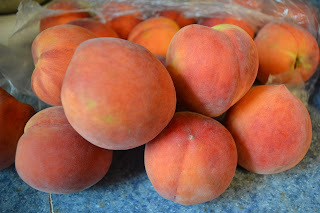 Today I am making Peach Pie Filling but the same recipe works very well with apple too! First lets get those peaches peeled. I like to score my peaches with a knife. 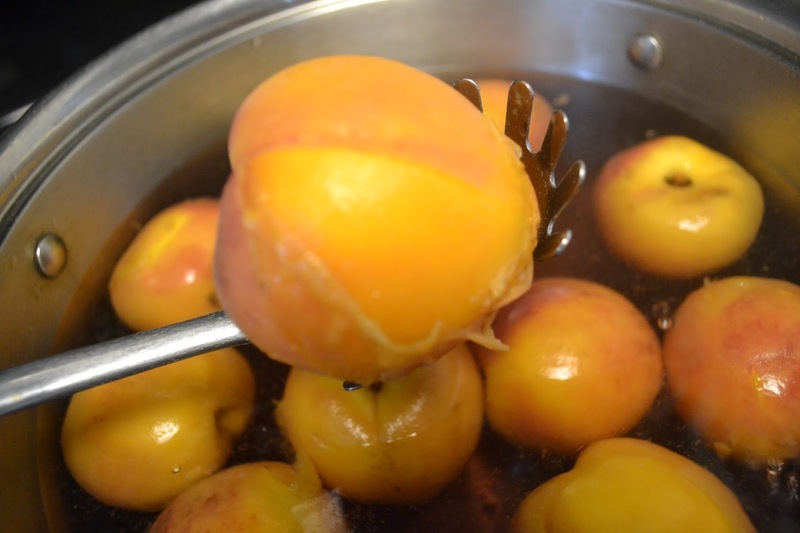 Put peaches in boiling water for 1-2 minutes until peels start peeling away. 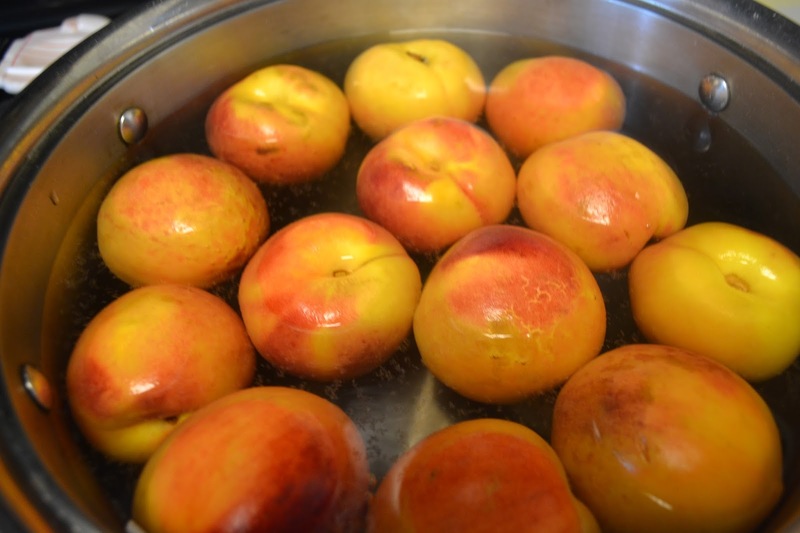 Remove from boiling water and plunge into ice water to stop the cooking process. 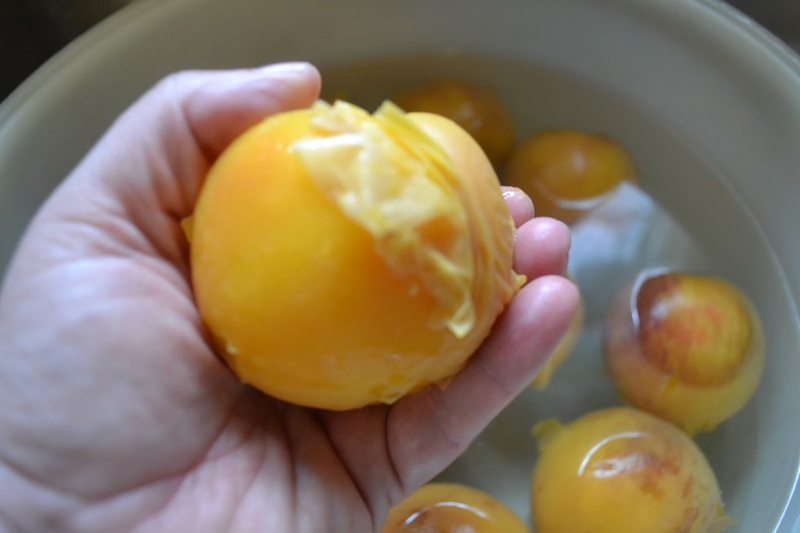 The peels should now just slide right off! Now we are ready for the pie filling recipe! Plastic wrap, press & seal wrap, freezer safe bags. Optional: Non stick cooking spray. In large mixing bowl combine all ingredients and set aside. Line your pie pans with plastic wrap or press & seal wrap (I used the press & seal) leaving enough hanging over extra to cover the top of the pie plates later. Pour pie filling into prepared pans. 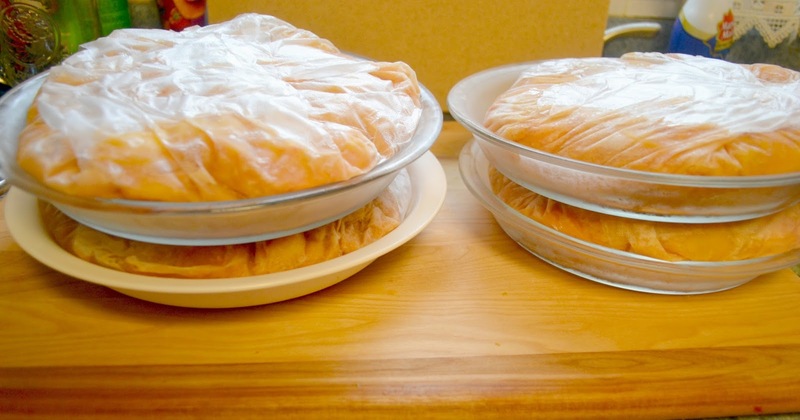 If using plastic wrap, fold the plastic wrap over the top of the pie filling. Place pie pans on a flat surface in your freezer for 2-3 hours until it is frozen solid. Remove frozen pie pans from freezer. 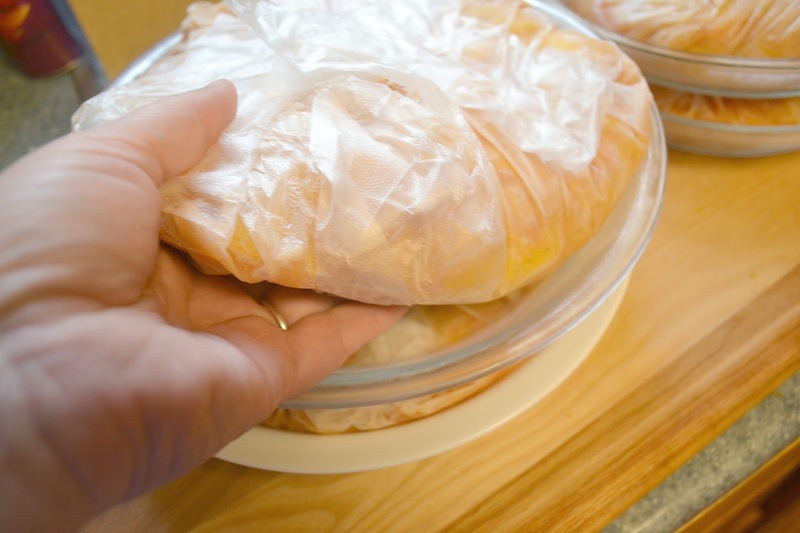 Remove frozen fruit from the pie pan and place into freezer safe bags. Store in freezer until ready to bake. 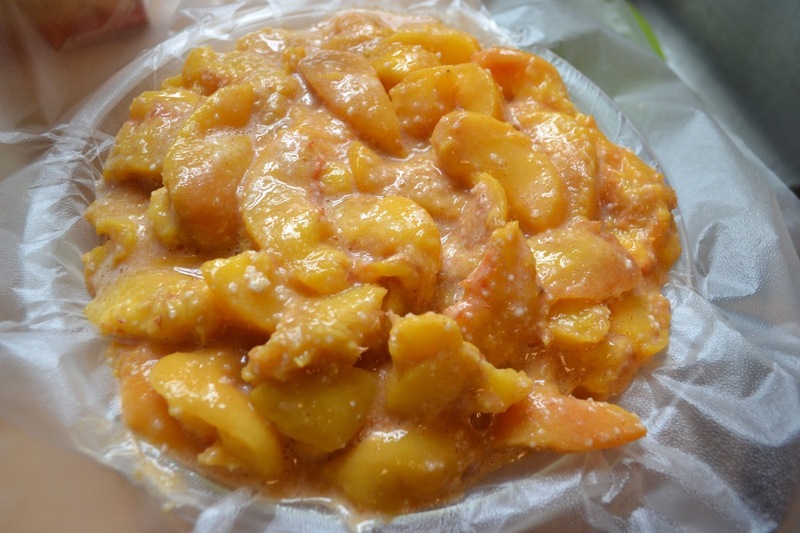 Pour the filling straight into a freezer bag/container and freeze flat. To bake this go to the "from thawed" baking directions below. 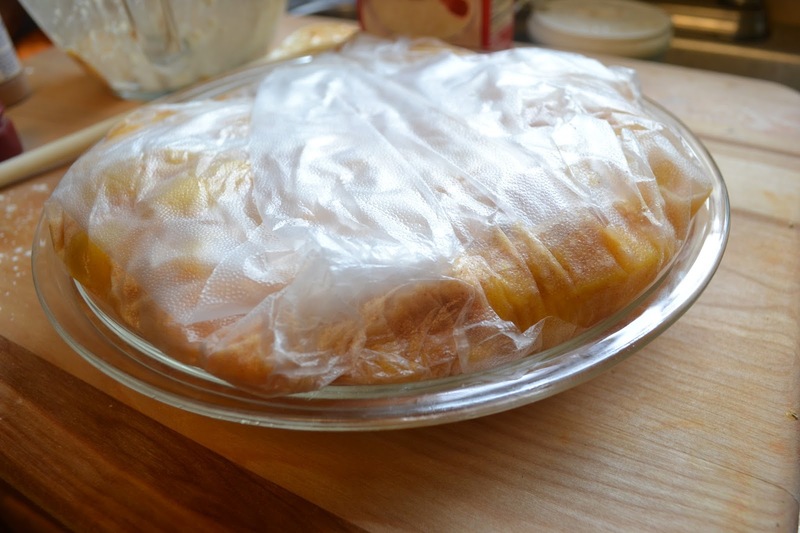 Place frozen pie filling (Ok, obviously you'll need to unwrap it from the plastic wrap!) in a pie crust lined pie plate. 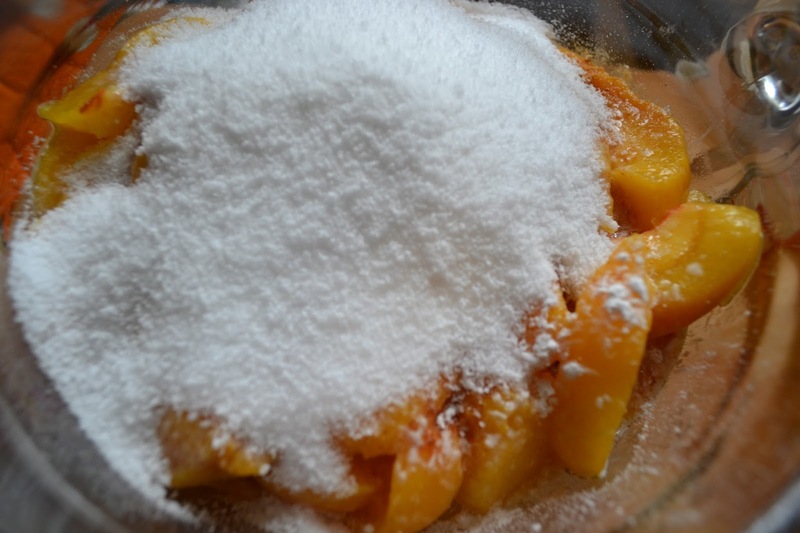 Top peaches with top pie crust and crimp/seal edges of pie. Bake 20 minutes at 400° Then turn down heat to 350 ° for another 40 minutes or until crust is golden. Fill pie plate same as above from frozen directions. Bake at 400 ° for 40 minutes or until golden.